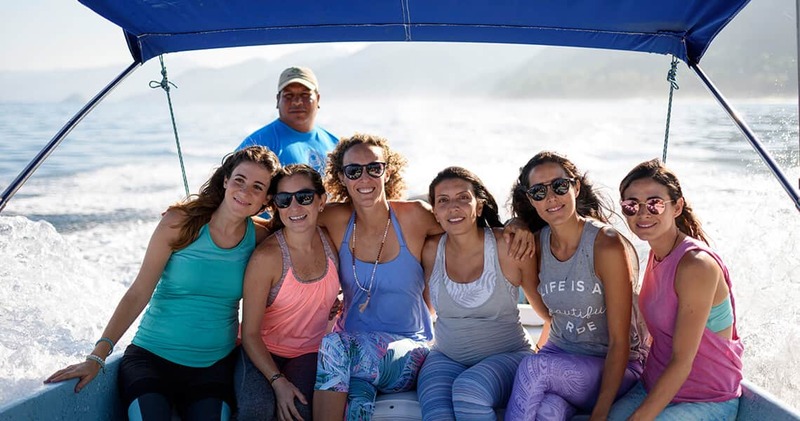 Join Jennifer Pahl & Cynthia Pedraza for an unforgettable, transformative, and rejuvenating weeklong retreat at The Sanctuary for Self Discovery “Xinalani” an exclusive Yoga Retreat Center in Puerto Vallarta, Mexico. As you take an inward journey prepare yourself, to explore all five elements of the universe and how they can relate to your life and your yoga practice. With a native Mexican teacher, you may even leave with a few new Spanish words in your vocabulary and a renewed appreciation of this glorious culture. Come prepared to explore, learn, and have fun! We’ll laugh and learn (and toast a margarita or two!) as we spend a week with equal parts Sol and Soul. 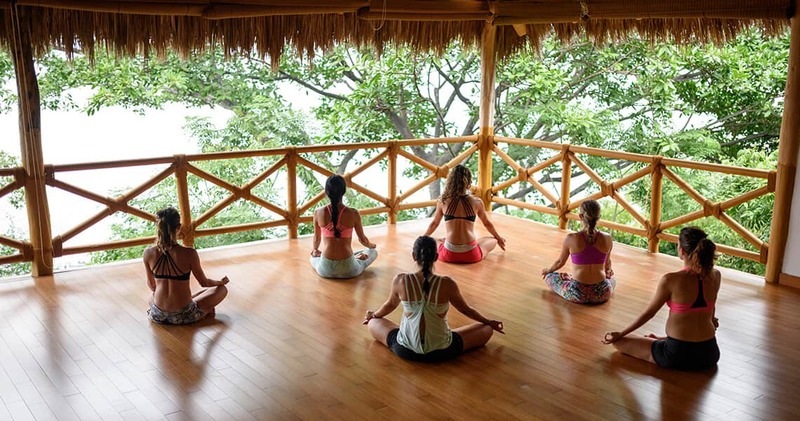 – Relax, and be nourished by daily yoga and meditation classes themed to each element. – Transform tightness into flowing energy. – Dive deeper as we take an inward journey beyond the physical body, with workshops designed to heighten our spiritual & emotional awareness. – Find your natural rhythms as you balance your inner elements. – Learn powerful tools for ongoing rejuvenation and relaxation. – Connect with your true self. – Free time available to explore the surroundings, go on a group activity, read, or simply rest in a hammock surrounded by the breathtaking landscape. 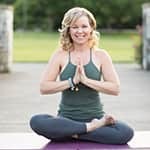 Jennifer Pahl is a certified yoga teacher and yoga studio owner who currently lives in Lake Oswego, Oregon. Born and raised in Miami, she loves weaving her tropical roots together with the majesty of the Pacific Northwest. She’s certainly not a traditionally "zen" person, but she immediately fell in love with how yoga made her feel. It quickly became clear that yoga was more than just Jennifer’s personal passion — it was her calling. She wanted to share the incredible feeling of empowerment and presence she experienced from yoga with as many people as possible. So, she left her corporate career in finance behind to open Twist Yoga -a supportive studio providing yoga, meditation and functional fitness classes to the greater Portland community. Two years later, she launched Twist Your Workplace, providing corporate wellness solutions for American workplaces. Her students loved the in studio classes, but really wanted to be able to practice with the same amazing teachers from home or on the road. In 2018, she launched online classes at Twist Yoga Online. When she’s not teaching, Jennifer can be found speaking at local events, writing for wellness magazines and blogs and spending time with her two kids, husband, and two rescue dogs; Elmer and Dante. She is also the Bridgeport Village Ambassador for Lululemon and is part of Mindbody’s One Champion network as a Board Member. Cynthia's first experience with yoga occurred about 15 years ago, when, out of curiosity, she took her first Yoga lesson during a beach trip in her home country of Mexico. She immediately knew yoga would be integral in her life. She embarked on her teaching journey shortly thereafter, teaching in local studios in Atlanta in both English and Spanish, looking to inspire students to connect body, mind, and soul. A true believer that everything comes to you in the right moment, Cynthia moved across the country to Portland, where she completed her Yoga Alliance 200-hour yoga teacher training focused in with smart sequencing Vinyasa Yoga, she is currently completing her 500hr with Jason Crandell and an applied Yoga Integration certification. Currently she teaches yoga classes at Local Studios in Portland where she gives workshops for adults & kids. She also loves to lead yoga retreats outside the US by combining all her passion for Yoga, fitness, and meditation with students that want to immerse in a better way into this way. DAY 2: Air | Aire - Everything begins with breath. • Morning practice: A pranayama based practice to help ease the traveler's body, and welcome in lightness of spirit and connect to the surroundings. • Morning practice: Root down to reach up. We'll flow with a vinyasa sequence that focuses on our feet and hands and truly brings us home. Practice ends with grounding meditation. • Evening practice: We’ll workshop tree pose (Vrksasana) surrounded by palm trees and discover how to feel light and open while rooted and secure. • Morning coffee, tea and juice. • Morning practice: Flow like the water that surrounds you and makes up most of your body. Discover dolphin, fish, and other aqua-themed shapes. • Breakfast, free time, lunch, free time. • Evening Practice: Yin yoga and pranayama on the beach - silent beach mandala building. • Morning coffee, tea, juice. • Morning practice: Stoke the fuego inside with a sweaty core-based flow. • Evening practice: Balance the heat with a cooling pranayama yin practice and discover hand mudras. • She’ll in hand to let go.